Prominent & Leading Manufacturer from Coimbatore, we offer number plate sticker cutting machine, radium cutting plotter, redsail sticker cutting machine, bike & cars graphic sticker printing machine, wall paper sticker cutting machine and t-shirt sticker cutting machine. As an esteemed name in the relevant industry, we are offering a precision-engineered array of Number Plate Sticker Cutting Machine. Following industry defined guidelines; our vendor's experts manufacture the entire product by utilizing contemporary machines, modernize technology and prime grade raw materials. In order to ensure quality, the entire product is rigorously tested upon a series of parameters. In tune with clients' diverse requirements, we offer this plotter in a wide range of specifications. High cutting force 750g maximum cutting force for cutting thick material easily. Fast cutting speed 960mm/s maximum cutting speed for the high productivity Plug-in software is very easy for using The plug-in software allows cut from Illustrator, Corel Draw, AutoCAD Word, Excel etc. directly, it's very convenient for users. We are offering Radium Cutting Plotter to our clients. For strictly adhering to the universally accepted standards, our offered plotter is thoroughly examined by our quality controllers at every stage of production. In line with clients' variegated requirements, we offer this product in various customized options. 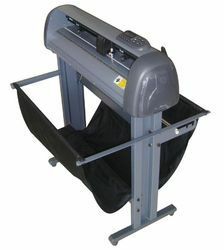 We have uniquely positioned ourselves as dependable trader and supplier of precision-engineered collection of Redsail Sticker Cutting Machines. Our offered machines find extended applications commercial area. This unique range is manufactured employing cutting edge technology and utmost-grade components in compliance with set industrial standards. Furthermore, the offered machines are stringently analyzed by our quality controllers. Our offered machines are well known in the market for its durability and rugged construction. The entire range is made available in a various customizes options at a competitive price. Export Plugins available for CorelDRAW 6 to 13. Illustrator CS / CS2. 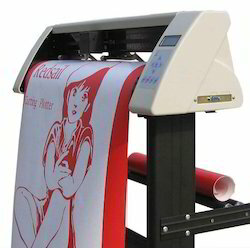 We are offering Graphic Sticker Printing Machine to our clients. Fire-new media feeding system with higher motion accuracy. The media compatibility is much wider than before. 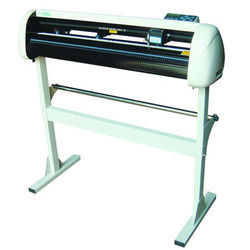 Dimensions 35.4 x 23.3 x 41"
We are successfully engaged in offering a commendable array of Wallpaper Sticker Cutting Machine. The offered machine is precisely manufactured using superior quality raw materials and advanced machinery in adherence to the set industrial standards. The product offered by us is highly appreciated by our clients for its smooth finish and high durability. Clients can avail the offered machine from us in various customized options at competitive prices. Included Software: Graphtec Studio (for Mac), Graphtec Pro Studio (for Windows), Cutting Master 4 plug-in for Adobe®, Illustrator and CorelDRAW. Manufactured by updated machinery, and modern technology at our ultra-modern manufacturing unit, we are offering a distinguished range of T-Shirt Sticker Cutting Machine. While manufacturing, we used high-quality raw materials and modern technology for high durability and robust construction of our product. Apart from this, we deliver this plotter to our end user after testing properly various parameters. 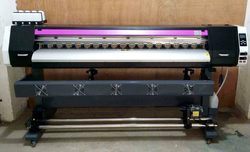 Clients can avail this offered plotter from us at industry leading prices. 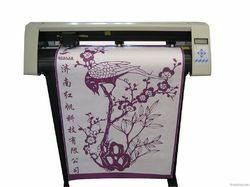 We are offering Vinyl Sticker Printing Machine to our clients. 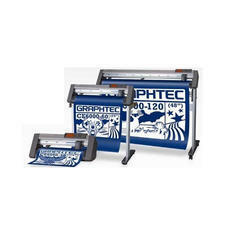 Looking for Sticker Cutting and Printing Machine ?